Wooden floors are always in style, so give your home or office a makeover that lasts – with a wood floor installation. The floor fitters in Paddington W2 provide a service geared towards your complete satisfaction. You have complete control over the process and can choose among a variety of design choices and materials to have a floor that meets all your requirements. 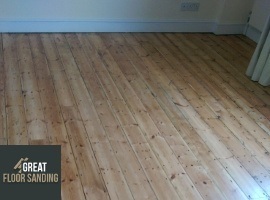 Why Should You Book Us for Wood Floor Installation in Paddington W2? What allows us to continue working in the industry is our dedication to quality and an emphasis on skilled labor. We hire only established, professional Paddington wood floor fitters, who are certified and who have accomplished numerous projects for both homes and offices. Your team consists of experts in the field who use only the best equipment and materials to provide an efficient service that saves you time and leaves you with a wooden floor which will last for years on end. Order Work from The Floor Layers in Paddington Now! Communication remains our top priority, so dial 020 3404 9697 whenever you have the opportunity to. You’ll find our support staff work around the clock from Monday to Sunday to ensure you get all the attention you need. You can request your no-obligation on-site inspection from the Paddington wood floor layers or you can request additional information about our services – we’re here to help. Additionally, you have the opportunity to change an already existing appointment, but only if there are more than 24 hours before the appointment.